Agriculture is a rich part of San Diego County’s heritage and foundational piece of the region’s economy, but it’s not easy to make a go of farming here given the hilly terrain, uneven soils and limited natural water supplies. That’s where the San Diego County Water Authority comes in. 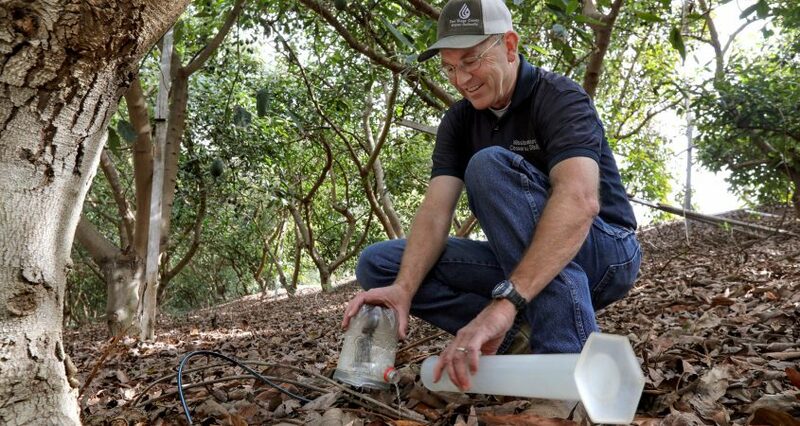 The wholesale water agency has funded more than 2,300 free irrigation system evaluations for farmers since 1991 by partnering with the Fallbrook-based Mission Resource Conservation District. Those efforts can save farmers hundreds or even thousands of dollars each year, while stretching the region’s most valuable natural resource and improving crop performance. And this year, the Water Authority is taking its agricultural assistance program to a new level by leveraging more than $1.5 million from a variety of sources to help improve irrigation efficiency at local farms with an enhanced package of services. By sharing costs with farmers, those funds will be stretched through 2021 to offer additional site evaluations and testing, soil mapping, water conservation planning, soil moisture sensors and technical assistance. These dual benefits explain why the Water Authority helped to secure funding for expanded agricultural water efficiency efforts over the next three years. In addition to the Water Authority, the program partners are USDA Natural Resource Conservation Service, Mission Resource Conservation District, San Diego County Farm Bureau, and 10 Water Authority member agencies – Carlsbad, Escondido, Fallbrook, Oceanside, Rainbow, Rincon del Diablo, San Dieguito, Vallecitos, Valley Center and Yuima. 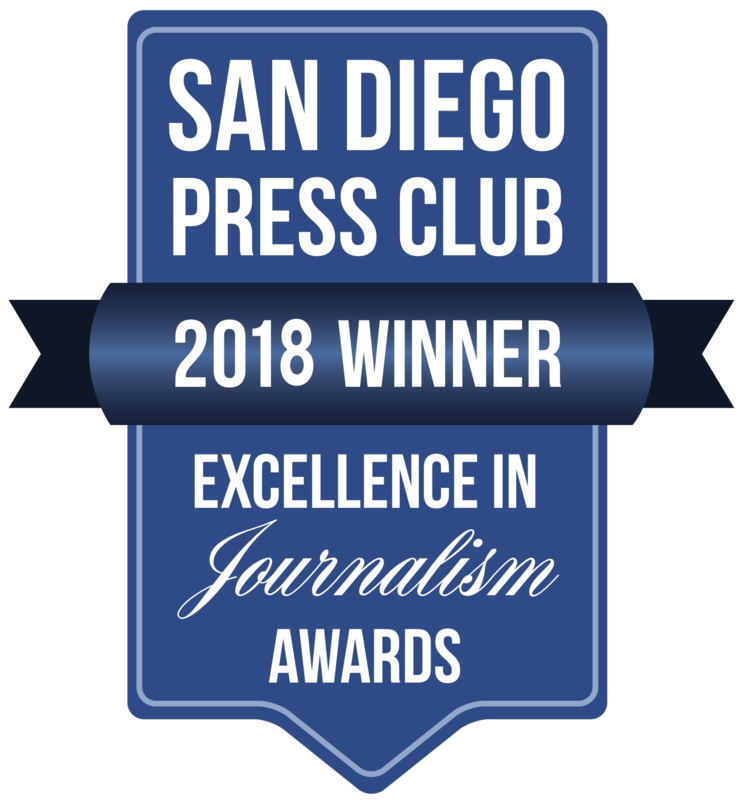 San Diego County is home to approximately 5,700 farms – more than any other county in the nation – and they benefit from the region’s nearly perfect weather. But they also must contend with intermittent rain, hilly terrain and bedrock that can sit just a few feet below the surface – all of which makes irrigation efficiency both challenging and critical. Irrigation evaluations typically begin with a conversation about current practices – when farmers irrigate, for how long and how many zones are in the irrigation system. 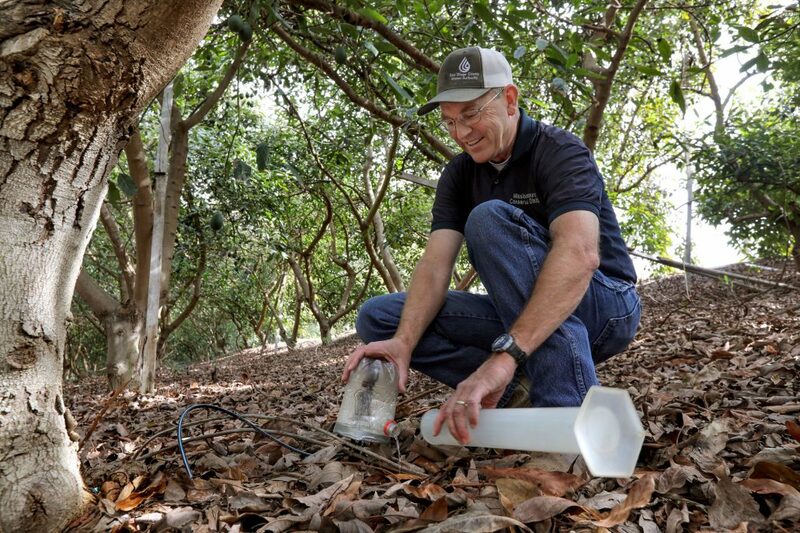 Lance Andersen, who performs farm water-use evaluations as agricultural program director for the conservation district, then measures flow rates at sprinklers and water pressure at the risers. He produces a written report with recommendations for improving irrigation efficiency and offers a follow-up evaluation. Easy fixes typically include adjusting water pressure throughout irrigation systems and replacing faulty pressure regulators. Regulating pressure on hilly terrain can be tricky, and Andersen often finds that water pressure in flat areas is too high, which results in overwatering. Ensuring that all emitters are of the same size and type is another easy adjustment for farmers. It can be more challenging to adjust irrigation rates to account for soil type and depth. “Everybody kind of knows that we don’t have deep soil, but they don’t irrigate that way,” Andersen says.